This night is for all the people, that loves to dance and that are open minded and open hearted We will start the night with a 90 minutes workshop where we will work with connections, musicality, rhythm and some basic steps that are easy for all to follow. This is to give us a base how to dance with people dancing a different style. After that the dance floor is open for all to dance blues, zouk, kizomba or play around with a fusion. Other styles are also much welcome, this is a playground to explore dancing. We are all here to have fun, socialize and dance. What ever your dance background might be, this will open your senses to new input and that will help you improve in your own style. 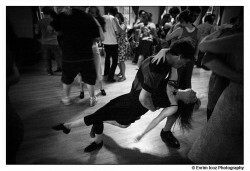 What time: Workshop at 18.30-20, free dancing from 20-00 or maybe longer… if we cannot get enough!